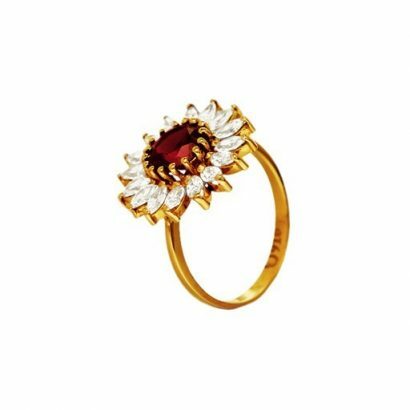 A 22 karat gold ring inspired by the beauty and fragility of nature. 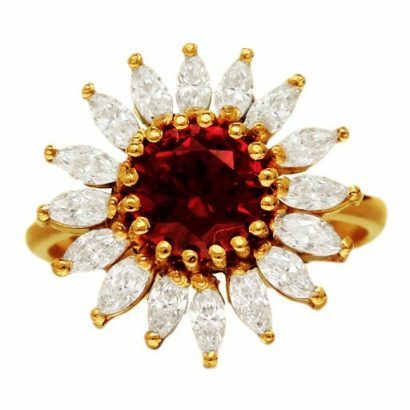 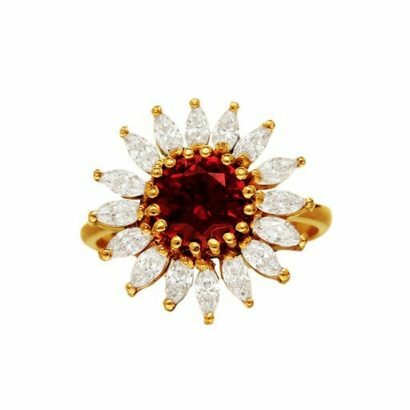 The radiant deep red centerpiece draws the attention and is the focal point of the ring whilst the shimmering white stone encrusted petals add a sense of fluidity and softness. A passionate, feminine ad trendy piece of jewellery.